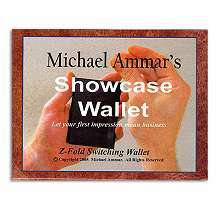 After vanishing a marked coin, performer removes a brass container from his pocket. The box is given to a spectator to open and inside is another box. This box is opened and inside is yet another box. When the forth box is opened the marked coin is inside! Precision made from brass.